Do you have a room in your house that needs a little refreshing? Perhaps a room that makes you cringe when you turn the light on, or one you deliberately hide from company by swearing that it is inhabited by monsters? Have you ever looked at ideas for redecorating and found that a site offers a "friendly budget" of $10,000 when you have a mere $20? Don't despair. There are ways to temporarily (and even permanently) juice up a room without having to take out a loan during these hard economical times. The internet is full of creative ideas for turning everyday objects into artistic accessories for any room. If you are slightly crafty, have at least a few dollars to spend and plenty of junk lying around, you can accomplish an amazing transformation with just a little work. These ideas might not turn your home into a magazine worthy showplace. They can offer you a comfortable, affordable change while you are waiting for good times and winning lottery tickets. First of all consider the walls. Paint is expensive, but can be the best overall investment if you are looking for an obvious change or hoping to rejuvenate shabby walls. If your walls are already painted a color you like, you might consider buying a small can of paint to use as accent color rather than repainting the whole room. Simply painting one wall of a room a bold color can change a room dramatically, as can painting trimwork so that it pops. Another option is to use stencilsor painter's tape to create a pleasing design. Simple geometric shapes such as stripes or squares can look nice in any room. A strong color can make the design a focal point, whereas using a color close to the wall color can create the illusion of relief. 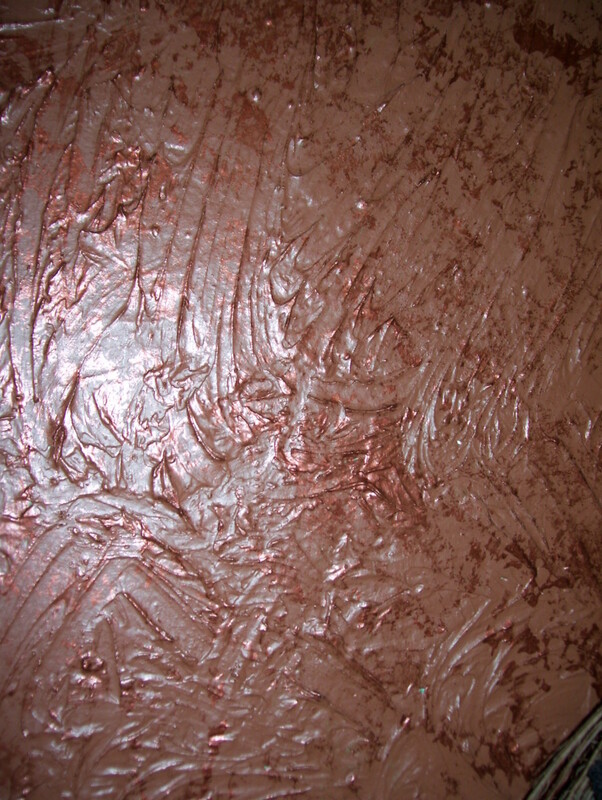 Sponging a new color over existing paint can be a great money-friendly option as well. Try using a metallic paint similar to the base color to give the illusion of fancy wallpaper. Play with paint samples to see what you like. Never under-estimate the power of spray paint. Once, when I couldn't afford new mini-blinds to match my brown and black living room, I took leftover black spray paint I had in the garage and painted the mauve mini-blinds. The difference was amazing. I simply cleaned the blinds very well then hung them outside to be painted. They looked so clean and shiny. I finished them off by sewing simple valences to hang over them, and they received many compliments. If you have a sewing machine, and like to sew, you can easily add fresh touches to a room. I have a simple Brother sewing machine that I love. It was very affordable and is easy to use. If your budget allows, I strongly suggest a sewing machine, as it can save you a lot of money and time in the long run. Here are some things to do with fabric. 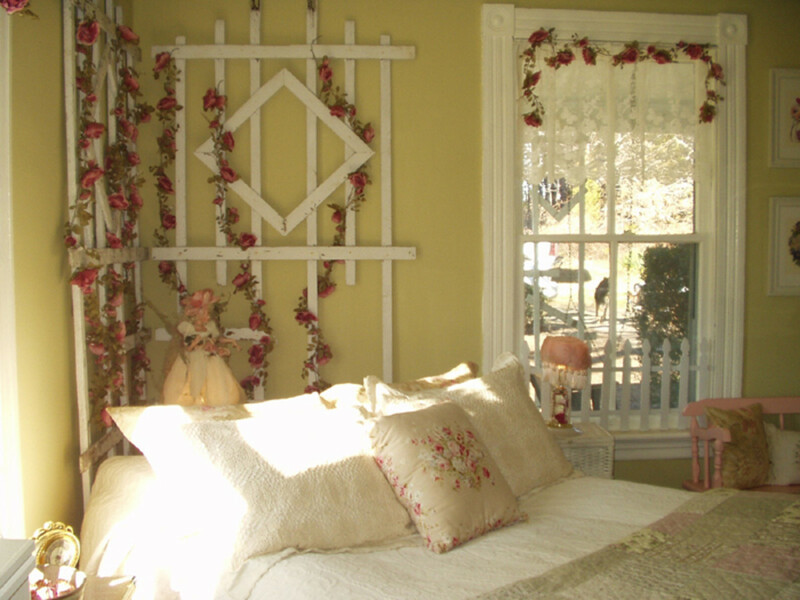 Dress up your windows by making your own curtains. This requires fabric, patience, and accurate measurements. Search for curtain patterns that will fit your windows, and calculate how much it will cost. The simplest curtains to make are plain panels with a rod pocket at the top. These are easy even for novice sewers. 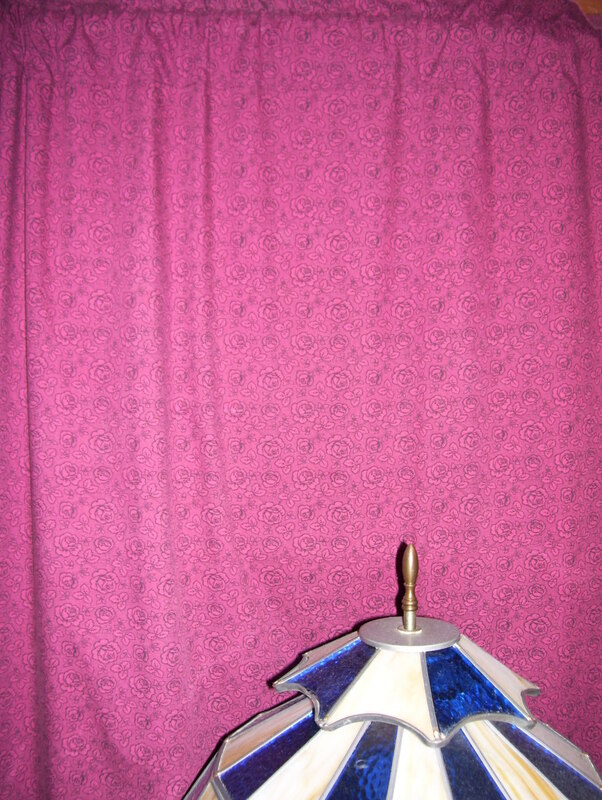 A thrifty option is to re-purpose or "up-cycle" fabric from sheets for curtains. In a bedroom this helps to coordinate the windows and bedding. Also, don't hesitate to search secondhand stores for curtains or fabric. It isn't uncommon to find like-new linens in secondhand stores, usually donated by people who redecorate often or who received unwanted items for gifts. Be sure to check fabric for holes and mildew stains before buying. Use excess fabric to make throw matching pillows. While you are browsing the secondhand stores, look for fabric remnants that might coordinate with your room. These can be used for a number of accent touches. Don't just look in the fabric and linen sections. Browse through clothing as well. Larger items of clothing can be taken apart at the seams to provide material for a number of projects. I once found a brand new shirt that yielded enough fabric to create an entire baby layette. The print was exactly what I needed, and the material was butter-soft. Go through your own closet as well. Do you have any clothes that have great prints and colors, but don't fit well? Were you going to throw them out? Consider re-purposing them for the house. Shirts can be turned into throw pillows to dress up a bed or lonely sofa. Use a variety of similar prints and colors to create visual interest. Don't just make square pillows-circles and rectangles are interesting too. Skirts, sometimes with little or no sewing, can be transformed into new lampshade covers or skirting for free-standing sinks. Flowing skirts such as 'broomstick' skirts can be cut down to make window valences. When you start dissecting clothing, be careful to follow the seams to save as much cloth as possible. Don't forget to open the sleeves to see if they provide enough for small pillows. If not, don't discount the idea of sewing smaller squares or strips together to create patterned fronts for pillows. If you are really bold, consider making a small quilt for the sofa back. Adding to walls or doors themselves for a bold mural. They are also easy to sew to cushions and pillows for bright spots of color or to create tufting. They come in all sizes and colors, and are a cheap way to bring texture into a room. Fringe, ruffles, lace, cording and tassels can also be sumptuous, but have fallen slightly out of favor in the era of sleek, modern décor. Still, the occasional ruffle or lace trim over a mirror, or silky tassel tie-back for a curtain can liven up a drab corner nicely, if you like. With a little work and some creative painting, someone else's junk could easily become your most interesting conversation piece. When you are in the thrift stores, look around at some of the furnishings and home décor items. Some can be had for only cents, and may look like they are worth even less. Look at the piece closely. Do you like the idea of that wooden peacock wall plaque, but hate the garish chipped coloring? Remember that almost anything can be cleaned and painted. Many items seem hopeless and outdated, but can be turned into modern, unique décor with just a little time and love. Consider painting the peacock solid black for a sleek silhouette effect. Other thrift store, flea-market and yard-sale finds can include tables, chairs, ottomans, plant stands, nightstands, flower pots, mirrors, lamps, magazine holders, and much more. Discarded picture frames can be restored with little expense. A friend of mine loves to purchase cheap gold dollar store frames at yard sales and turn them into faux pewter. She does this by painting the frames flat black, then rubbing silver acrylic craft paint over the texturing with a dry paper towel. It costs little and afterwards she arranges the frames into geometric configurations with black and white photos. The effect is very elegant. Are you willing to decorate with dollar and thrift store items? I will use dollar store, but not thrift items. I will use thrift store finds, but not dollar store. Yes, I like shop at both places for bargain decor. I'm not sure, I have never been in a thrift or dollar store. While we are on the subject of dollar stores, be sure to check out a few for decently priced décor items. As with thrift stores, remember to look beyond what you see. Metal lawn art can be altered to make intriguing centerpieces. Plain lamps can have their bases painted and their shades recovered for a new look. Cheap candles for table top arrangements. 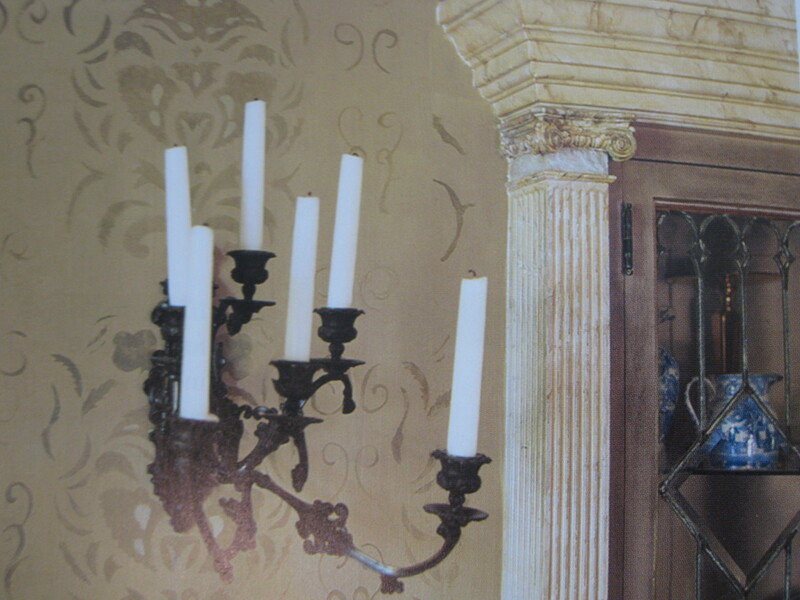 These store also offer a wide selection of candles and holders. Return often to check for clearance items. Sometimes damaged items can be bought at a great discount and can easily be repaired or re-created. To dress up a small kitchen, buy a small cutting board and a set of 4 wooden spoons. Paint or stain the wooden items and add decorative trim. Install cuphooks and a wall hanger on the cutting board, and hangers on the spoons. The spoons can be hung from the cutting board. If you paint the cutting board with chalkboard paint, you have just created a unique memo board for less than $5. Leave the spoons plain if you wish to use them, and they will always be hanging within reach. A beautiful addition to any room is a perky house-plant. Whether real or silk, a plant brings can bring inside a touch of the outdoors. If you have a nice window, live plants are best as they purify the air. Hang plants from the ceiling, arrange them on tables, or line them up on a shelf across the sink. Rather than using decorative plants in the kitchen, try growing some small pots of cooking herbs. 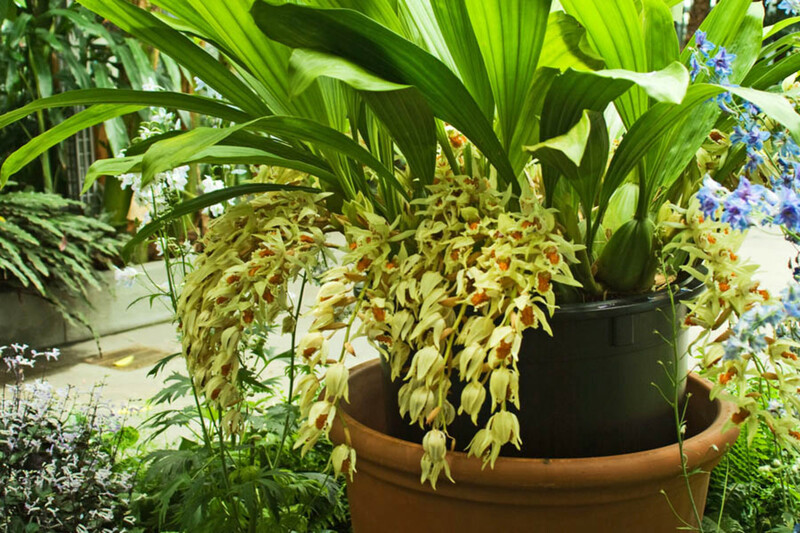 These plants can have a delicious, spicy fragrance. The plus side of growing your own herbs is you have fresh spices for cooking right at your fingertips. Basil, Rosemary, Oregano, and Mints are a few easy to grow choices, and have the added benefit of medicinal properties as well as culinary. When you begin re-decorating a room on a budget, don't worry about trying to finish it in one week. Give yourself time to make small changes, then spend time with each of them. If you like one change, consider reflecting it in your next project. Don't run out and try to find all the accessories in one shopping trip or one store. If you do, the room will most likely look like you did just that, and may end up reminding you more of that store than your home. Try to find items that you actually like, not just things that fit in that last empty place. If you like ceramic cat statues, but you can't find one and buy a vase instead because it is the right size for the side table, you have just wasted your money on a piece of clutter that most likely won't enjoy and won't keep long. Lastly you should have fun. Don't worry if you can't achieve the effect seen on a decorating program. Most likely you can't without thousands of dollars. You can, however, create a comfortable, beautiful room that reflects your personality and interests. A room that you are proud to show others. A room that makes you happy. @mohka---yes, prints are a cheap way to liven décor. But canvas prints can sometimes be outside of a person's budget, unless found second-hand. But there are tons of great ways to make art for your own home using simple, cheap materials. The internet is full of ways to make "faux" textures and techniques on paper, cardboard, cloth and other materials. And if you have canvas lying about, it can be painted or collaged. Its easy to print on too! Thanks for reading! Love these ideas! 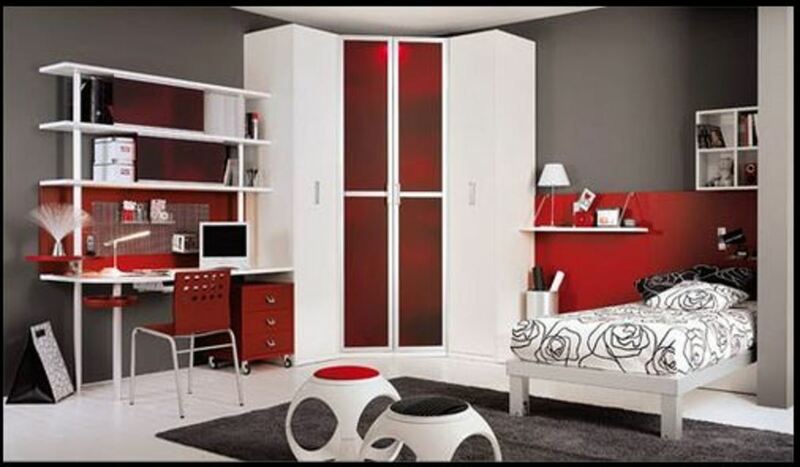 I totally want to redo my room. Its been the same for years. I really want to try the metallic paint. Can you do that with a rag instead of a sponge? I saw something about rag painting on a DIY site once. Fun ideas! I totally agree with the many ways to save! I love a good old shop in the thrift store as well, also what about canvas prints? There cheap! @b. Malin--Thank you for the welcome and comment! I have definitely become attached already to so many other Hubbers. It is a wonderful community! Love shopping the thrift stores. Great idea to look for colorful shirts to make pillows out of. Voted up, interesting, and helpful. Also adding this hub to a couple of my home decorating hubs. I agree that paint, fabric and a little greenery can make a tremendous difference when you want to save money on decorating your place. Great tips! 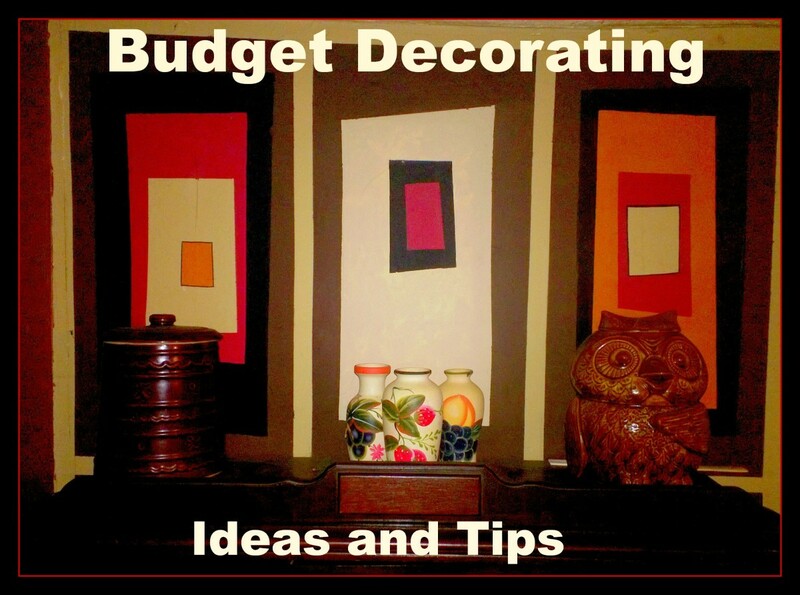 Hi Sharkye, I just loved reading your UPbeat and most Interesting Hub on Easy Budget Decorating Ideas. In this day and age with "Thrift" so important, it is certainly appreciated. Wonderful Tips, Thanks for Sharing! I now look forward to Following your Hubs. A Warm Welcome to Hub Pages, we are like a "Family" of Writers here. @christy--Thank you very much. I appreciate that! @sminut13--Spray paint is very versatile. And for the most part, if taken care of well, it is very durable too. I spray-painted the front panel of our old metal bathtub. For a few dollars (paint and tape) it revitalized the bathroom. What useful tips! I am voting up and sharing on Twitter. I can see that the usefulness and high quality of writing explain why this hub is a Hub of the Day. great hub, i didn't think of spray painting, definitely will consider that. the only main problem for me is cleaning. sigh that's a big headache, i just don't have the mood to do it. loved your ideas and tips. thanks for sharing. Thanks Nicole! I'm glad you enjoyed it! Yes, yes, yes and yes. You have awesome ideas and tips here. Well done! @ Sherry--Yes! Very exciting to have HOTD. I didn't even know there was one. My mother called me to ask what it meant that my name was on the front page. I feel very honored too, because I was awarded one while still being so new. I love making the curtains from matching sheets. My mom did that for me when I was little and I felt the same way your daughter did--like I was the riches kid on the block. :) Thank you for the great comment! @Peggy--wow, that is really nice thing to do! I imagine a lot of people appreciate that you were in the right place at the right time to find something that they needed. I remember one of our most awesome finds. Someone had left a vintage 70's neon yellow leather loveseat by the dumpsters one day to be picked up. It was in fantastic condition, and we used it for years because it was so unique and funky! Thanks for everything! I have used many of these tips myself. 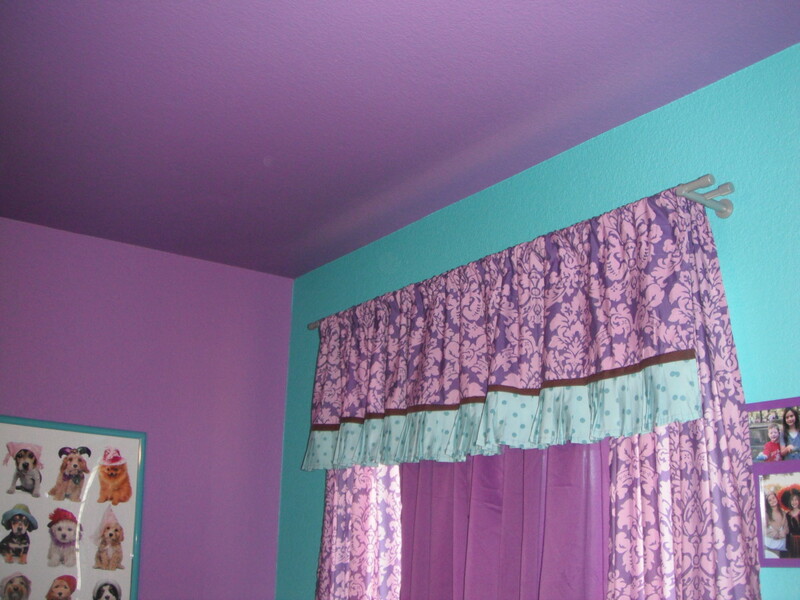 I remember how excited my daughter was when I made curtains to match her bed out of sheets. She said we were "just like rich people." Isn't it exciting to have a HOTD? It was very well deserved. This is a fantastic hub! I can fully understand why it got a Hub of the Day award! I have done a lot of painting including faux painting techniques and like to re-purpose things when possible. I also love checking out thrift stores and have picked things up from the curb to either take to charity thrift shops or give to people I know want such things. Just recently a perfectly good dresser was out with a "free" sign posted on it and I knew someone who needed one. So with my hubby's help we got it into our garage until they could come and get it. They were delighted!!! Many up votes and sharing. Thank you Denise! I have a lot of donated furniture too, and some of it is cool! It makes for a unique house, and that suits me. I don't like the idea of having a home that looks exactly like it came off a particular store's show-room floor. I LOVE this hub. I really enjoy bargain decorating. It makes me feel good getting a drab room spiffed up for mere dollars. Ah, the simple pleasures in life, haha. As for 'salvaging'? Well, about 90% of my furniture in this rental has been gifts of love from donors and that is just fine with me. I don't intend to live here forever, so saving money on avoiding new furniture is the name of the game. I've gotten some pretty cool things for free! Thank you Au fait. Yes, it is definitely wiser to wait and let a room come together. I watch the decorating shows sometimes and the rooms seem so impersonal when finished. 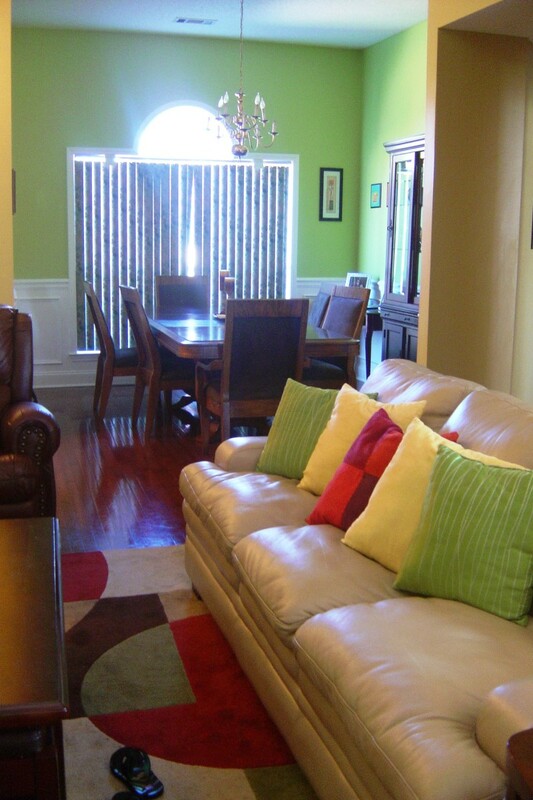 The decorators chuck out everything and just bring in stuff because it matches the colors. You are so right in that a creative person can jazz up a room or a whole apartment/house with very little cash. I especially liked your advice about taking one's time to put a room together with things that are truly appreciated so they make a better fit and give much more enjoyment. What a great and useful hub! Voted up and more! Thanks for the comments and congrats. I'm glad the tips are useful. I know how frustrating it is to want to redecorate and be on a limited budget, and how boring it can be to live in a dorm or rental that prevents certain touches like painting. In cases of rentals, the best thing to do is go wild with the accessorizing, which draws the attention away from the plain walls. Thanks to the new hardware available that doesn't leave holes in plaster, it is easy to decorate walls without angering a landlord. Thank you, DzyMsLzy! That is a great reminder for people with pets or small children. I have my collection of real houseplants out of reach of both children and pets. ( love hanging pots!). Some plants can't be hung though, and people do need to their research before buying. As for fake plants, I am sure it isn't advised...but I have occasionally washed them in the dishwasher on the gentle setting. I usually have to reattach some of the flowers, but at least they are clean! You've rounded up a great collection of simple, budget-friendly ideas, here. I've refinished furniture in my day, and re-purposed a few things, but on a small scale, one item at a time--I never tried to do an entire room. This gives food for thought. @injured lamb-Thanks for the comment. Greenery just freshens up a room doesn't it? I love hanging having live plants as well as fake plants. Silk ivy especially is fun in the bathroom. @rebeccamealy-thanks! I try to use original photos whenever I possibly can. If I am not in the position to, then I do promise to try to add originals later as I get them. I agree it gives a better idea of what is being done. Thanks for the feedback! Lil Miss Reader-Thanks for the comment. Dollar store flowers are great because you can create a new spot of colour anywhere for only a few dollars. I never thought about putting the paper in the votives, but great idea! @comfort B, I love using pillows! They are so easy to make, but it seems like I never get around to sewing them. I have seen some great decorating ideas where they made huge throw pillows for the floor. They look so cool and comfy. Thanks for the comment, I will definitely read your hub! @Craig. Thanks! Good insight. I think a lot of people do forget that houses are homes. especially now when everyone is working on keeping them looking "re-sell" ready. They always look like showplaces, but are they really home? 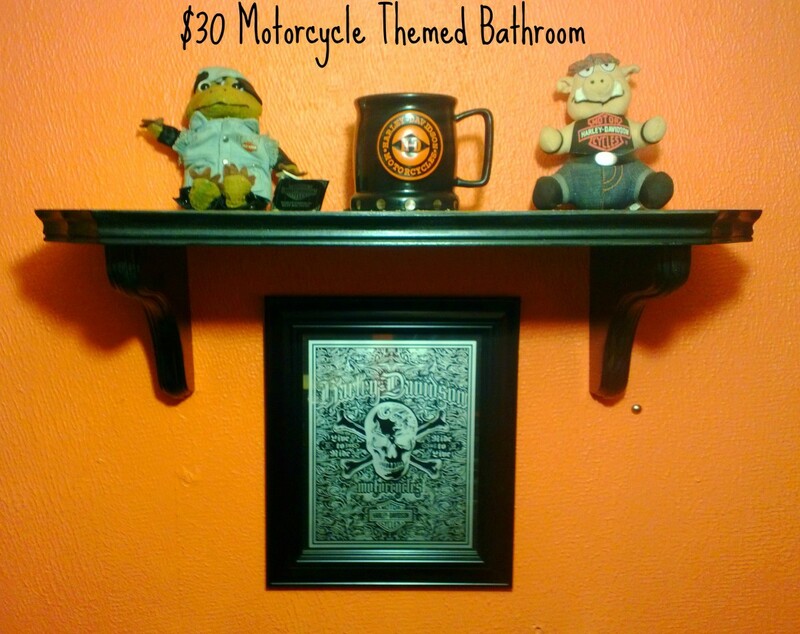 We have had to get creative to keep a good balance of masculine and feminine, and figure out how to merge his Harley décor with Star Wars collection! Excellent! We have some would-be decorators in my family who will love checking this out. I'll be passing this on to them. Thanks! Great hub! Thank you Duffsmom! I am glad it was easy to read. I've learned a lot just in the short time since I published this hub! @Modern Lady-Thanks! It can be cheap if you shop well. I did that whole abstract wall mural for less than $10. Choosing colours that coordinated with the base coat saved me the cost of having to repaint the whole wall. Nice and neat presentation...congratulations Sharkye11, thanks for sharing the great ideas and I personally opt for the greenery, well done job Sharkye11, keep it up and cheers! Very nice! I really like the metallic craft painting, all of these ideas are nice, and I like the fact that these examples are done by the author of the Hub. I really hate it when I see decorating collections from other sources written about by a separate author. This is refreshing, and much congratulations! Adding greens will definitely spruce up the room. It's eco friendly as well. These are some great ideas. I love buying plastic flowers from the dollar store and making centerpieces. Plus bags or decroative rocks/pebbles can be put into old candle holders with come popurri to scent up any room. Voted up Awesome and Interesting! Thanks! Thanks everyone for the congrats and the comments! @ slackermom-I agree that creating your own accessories is fun, plus gives your home originality. Its nice to have some one-of-a-kind items for conversation pieces! Very useful tips on home decorating on a budget. There's always something that can be revamped around the house. I just wrote a piece about using pillows for decorating, which you also mentioned. I also love your idea about using plants. Congrats on the HOTD award. Great hub. voted Up and Useful. This is good hub for 'designing' your space on a budget with both practical and creative ideas. Your home does not have to be a candidate for House Beautiful; it just needs to be YOUR beautiful house! When we first got married our house was a cross between 'early dorm room' and 'urban country.' Over the years, it's evolved, but it has always been our comfy home. Well done hub. Congrats on HotD. I love the way you set this hub up - very pleasing to the eye and very readable. Well done. I enjoyed this very much. Great tips and inspiration for those of us wanting to decorate on a budget. Thank you for sharing your experience and photos. Congrats on being chosen HOTD! Congrats on HOTD! I love using greenery to decorate. It can make a huge difference in a room and doesn't have to cost a lot. I enjoyed reading this! Congrats on your Hub of the Day award for a hub full of interesting decorating ideas that won't kill the budget. This hub had some great tips. I have spent the last twenty years recycling and refurbishing things I already have since I could never afford new plus I don't want to spend extra money on décor when there is so much more I need. Anyway creating your own décor allows you to be creative which is much more fun anyway. Loved it..
Great ideas! I just moved and need to spruce my place up a bit, but my budget is way lacking. Thank you very much! I have some more ideas. Will have to get some pictures taken though for the next hub. There are so many cheap ways to decorate! Thank you Bridalleter! There may be instructions for the machine online somewhere. There is a lot of money to be saved by sewing for your home, if you have access to reasonably priced or free fabric. I like to ask friends or relatives if they have any linens or curtains they want to toss out. The sewing would be nice, I have a brother sewing machine too. Since I moved over 3 years ago, I have not seen the book for it and can't thread it without the book. 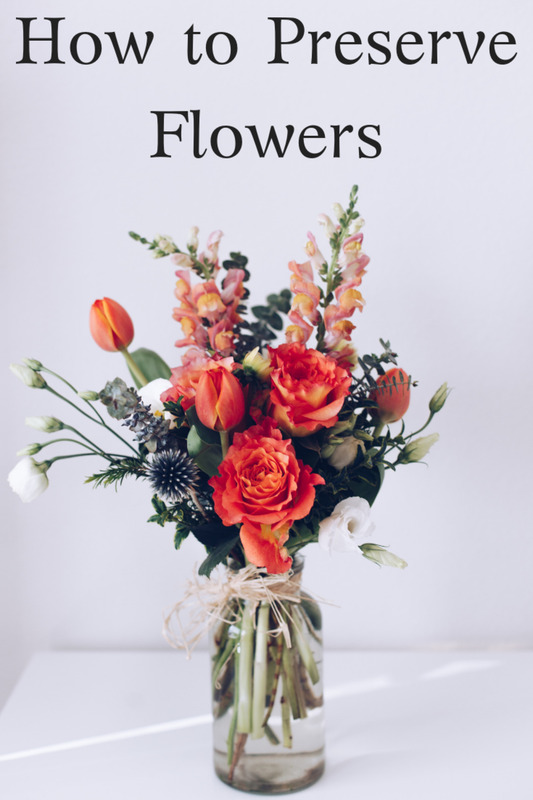 I love décor ideas and looking to save money from this month forward, so thank you for some great ideas! Thank you Tammy for the lovely comment. I suppose I should clarify in the article that I use metallic craft paint you find at Wal-mart. It is fairly cheap and goes a long way. It also comes in many colors these days! I love thrift stores. I would probably shop there even if I were very rich! I love finding one-of-a-kind objects. These are some really great ideas! I like the metallic paint. Almost everyone I know has been impacted by this poor economy. Many are shopping in dollar stores and thrift stores when they swore they would never do it. You are really off to a great start! Spectacular hub! I enjoyed the sewing instructions and the general good tips. I am always on a tight budget, so it is know that so much hassle can be eliminated by using what you already have.